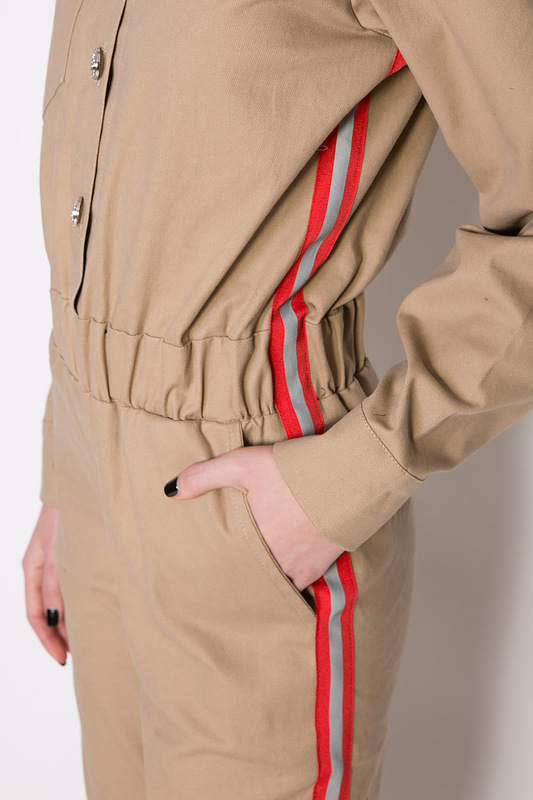 Hard Coeur's structured beige denim jumpsuit is detailed with white stitching and shaped with slightly tapered pants. Unbuttoned yours to reveal a graphic tee underneath. ell for evening as it does with jeans during the day.